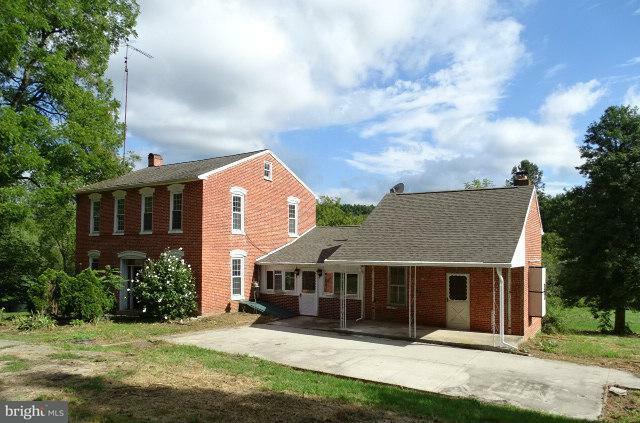 14.86 Acre lot with Stream "Codorus Creek" Bank Barn, and a large two story brick colonial home. Property features an addition off the back of the home. Covered front porch and a patio area out front. Interior features hardwood floors, 2 fireplaces, a den and family room, 1st floor bedroom and a 1st floor laundry closet. The kitchen is very basic. The bathrooms have been updated. Nice details including a tray ceiling in the dining room with picture framing and crown molding. Most of the windows have been replaced, attic hatch with pull down stairs, full basement, CAC! This property does need additional updates and repairs. All contracts and offers are subject to final review and approval of seller, all offers or contracts are not binding unless the entire agreement is ratified by all parties. Being sold AS IS. Seller will make no repairs.